The office of Alfred Browning Parker Architect designed & built scores of banks for multiple clients throughout South Florida & The Keys. From the mid-1950s through the 1970s numerous branches were built for the Flagler Federal Savings & Loan company, including the bank’s main office headquartered in downtown Miami. 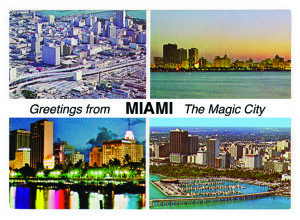 The West Palm Beach branch illustrated here was designed in 1969. The unique curvilinear structure is an impressive example of both organic architecture and integrated design: making all parts fit the whole. 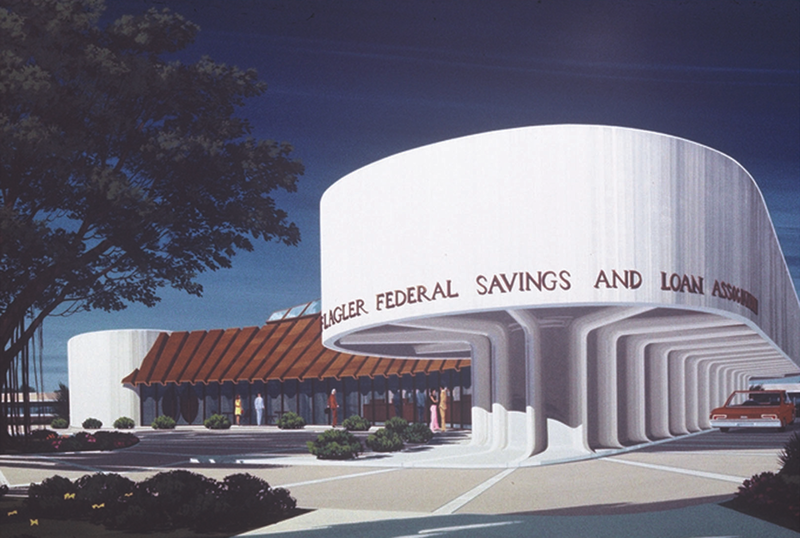 With notable features such as a drive-through teller and the latest in modern furnishings by Hermann Miller, the architect inspired the client and bank customers alike with the optimism and confidence identified with the best of mid-century building. © University of Florida, Alfred Browning Parker Architectural Archive, © Gulfstream Card Co., Inc.